The year is 1909; gravely ill German scientist Theodore Koch-Grunberg ventures deep into the Amazon in search of the sacred yakruna plant he believes will cure him. 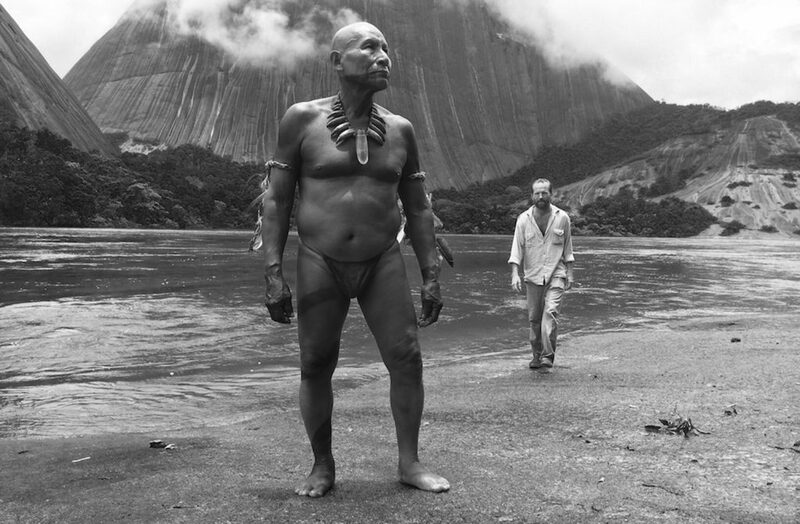 His guide is Karamakate, an imposing, swaggeringly confident young shaman. 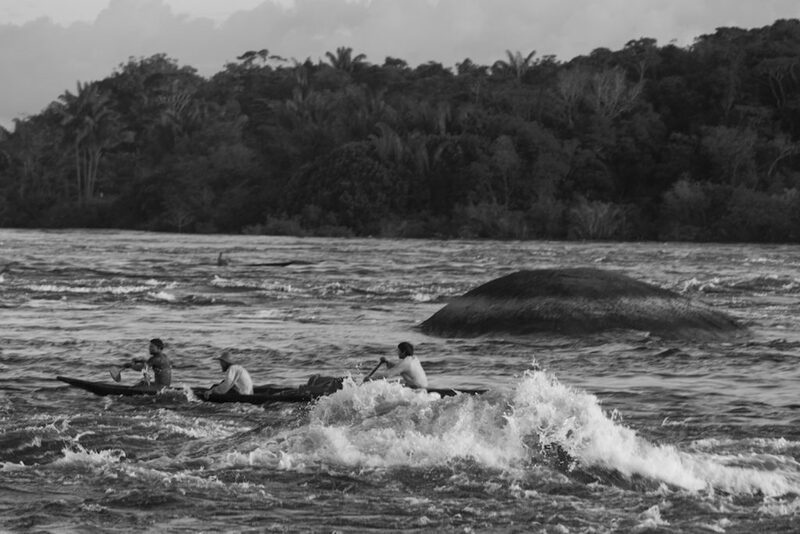 Many years later another adventurer, Richard Evans seeks Karamakate, who is now a broken, despondent figure, to retrace Theodore’s steps into the heart of the jungle. 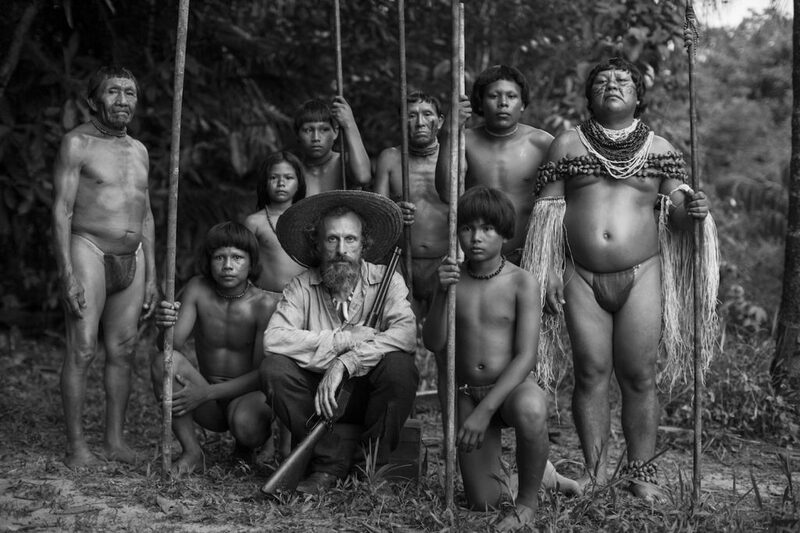 Inspired by diary accounts of Amazonian fieldwork, Ciro Guerra’s bracingly original film presents the two quests in parallel, shifting between time periods. A satisfying device in its own right, the dual narrative also affords a critique of colonialism and the destruction of indigenous peoples at the hands of white traders. 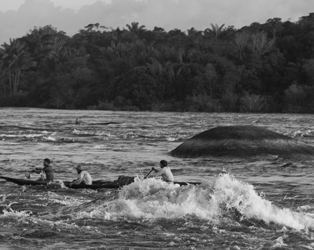 Filmed in gleaming monochrome, Embrace of the Serpent is both a sensory and contemplative work, the cumulative effect of the visuals and thematic weight of the story creating an intoxicating experience.